Hello and welcome to another free learn Korean resource. 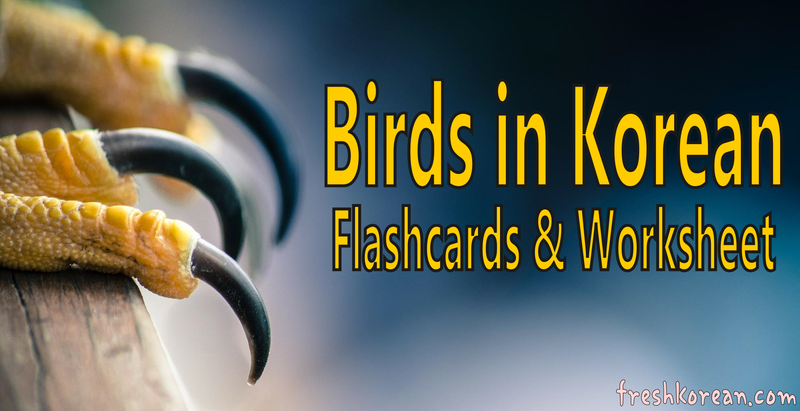 Birds is a subject that we touched upon before in a set of FLASHCARDS, and we thought we’d help out a little further by adding this Writing Worksheet resource. Even if you’re not interesting in birds, it’s still a useful practice writing worksheet. Enjoy! This entry was posted in Free Resources and tagged bird, birds, birds in Korean, Free Download, Free Korean Printout, Free PDF, Fresh Korean, Hangul, Korea, Korean, Korean Worksheet, South Korea. Bookmark the permalink.